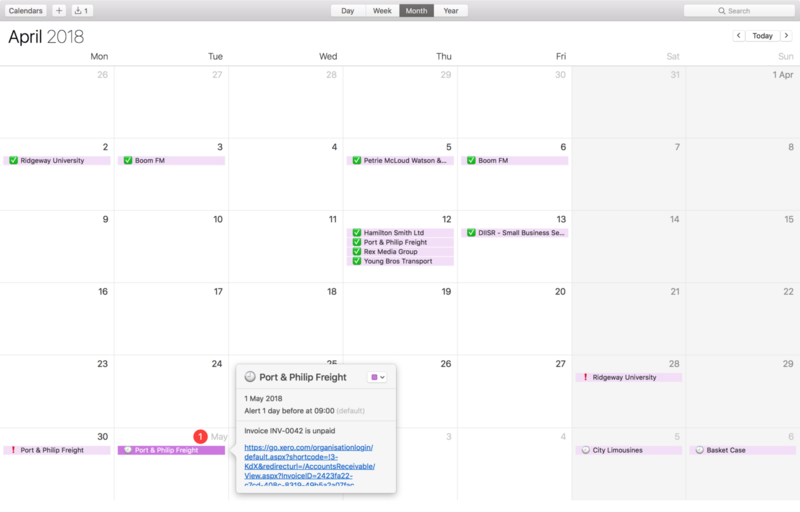 InView | What is an iCal feed? 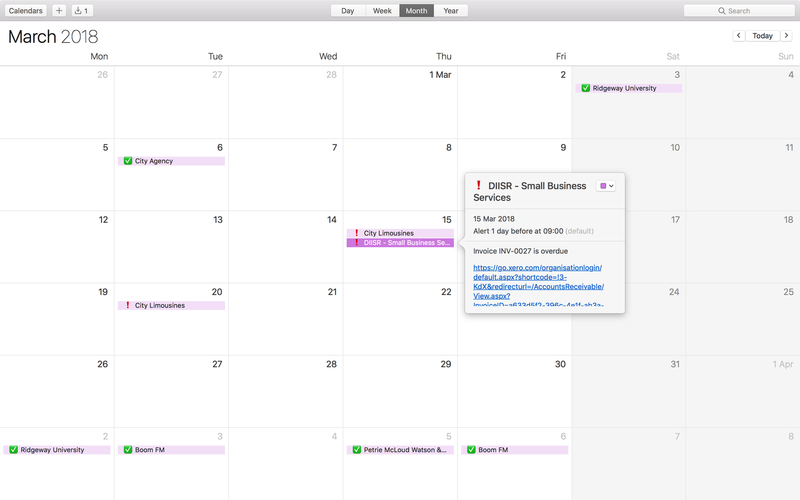 iCalendar (iCal) is an open standard for exchanging calendar and scheduling information. 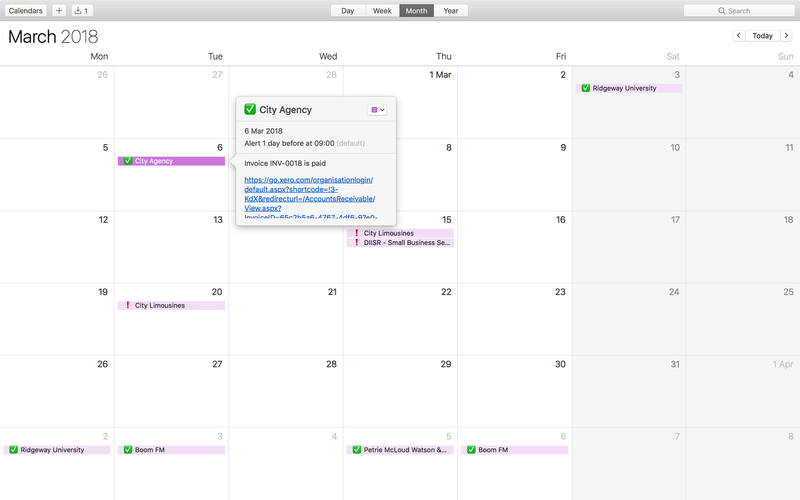 iCal feed enables an application to fetch, push or synchronise date and time-based data to another calendar application (like Google calendar). 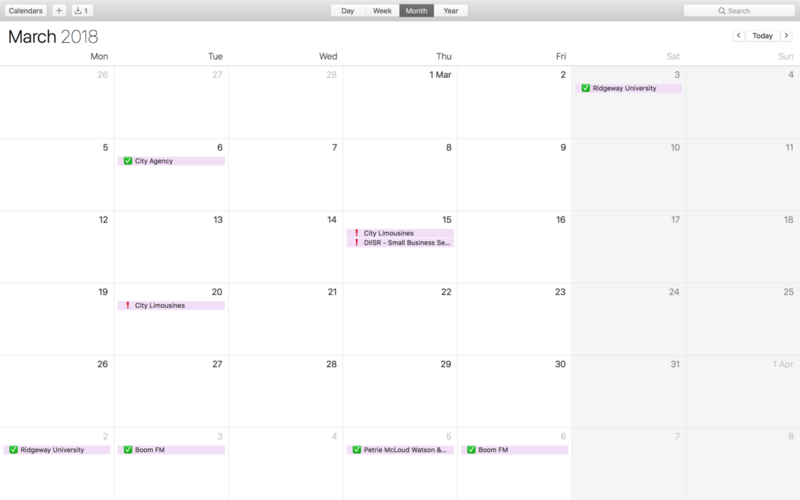 InView provides you with a personalised iCal feed per Xero organisation that you authorise with us. The feed contains information about when your invoices are due, its status, and a direct link to itself on your cloud-based accounting software.